Leading Senior Constable Darren Barnard shares his story. 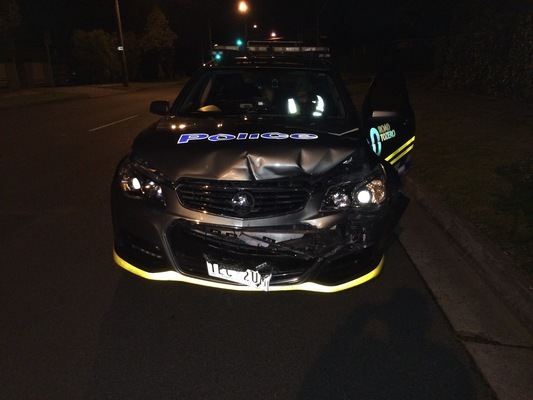 Leading Senior Constable Darren Barnard had one foot on solid ground when a driver rammed a stolen SUV into his police car in Dandenong North. “It was a bit of a shock. I didn’t really know what to think at the time,” he said. 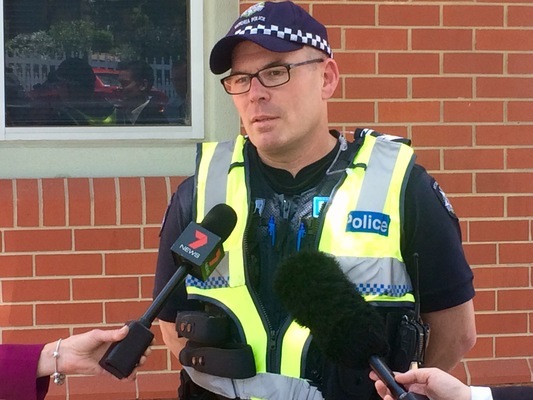 The Greater Dandenong Highway Patrol member has worked the road policing beat for 24 years. He was lucky to escape injury in the Wednesday 26 October incident, which occurred about 11.20pm on Brady Road. “It was a fair impact. I thought they weren’t going to be able to repair the car but they did,” Leading Sen Const Barnard said. “The front of the vehicle suffered an impact of about 50 centimetres. Police believe the man who was behind the wheel stole the gold-coloured Mercedes SUV from T and A Auto Repairs in Park Road, Cheltenham, on Saturday 22 October. Dash cam captures police car being rammed and suspect in car park. The Mercedes was in for a service when raiders drove another car through the garage’s roller door to free it. Police believe the same man used the vehicle to steal petrol from a Skye service station on Monday 24 October. Leading Sen Const Barnard and his partner spotted the car on Stud Road and noted its front and back number plates didn’t match each other or the vehicle. “Initially we pulled up alongside the driver to see if we could identify him before we intercepted him, half expecting that he would drive off,” he said. “We weren’t able to get a real good look at him due to the nature of his vehicle being a much larger four-wheel drive and us sitting in a sedan. “We attempted to intercept the vehicle. It looked like it was going to pull over. “We had to activate our lights because he stopped in the middle of an intersection. “We moved to the side of the road, and I had one foot out the door and he engaged reverse gear before I could get back in the car and he rammed us. The impact put the car out of action so Leading Sen Const Barnard could do little but watch the driver flee the scene. He said the man had shown a “blatant disregard for police and members of the public”, and encouraged anyone with information to come forward. Police found the Mercedes abandoned at Parkmore Shopping Centre in Keysborough on Friday 28 October. CCTV footage showed the alleged rammer driving it into the car park at speed about 10am and then loading up a shopping trolley with belongings from the car. The driver was perceived to be of European appearance and aged in his late twenties or early thirties, and he was wearing a black baseball cap. 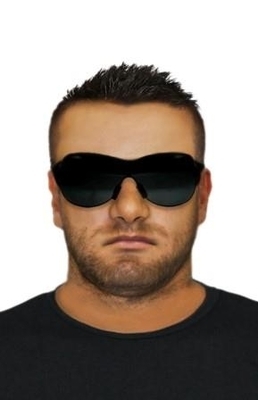 Investigators released a facial composite of a man who might be able to assist with their inquiries. They also released a likeness of a tattoo and an armband similar to the driver’s. They appealed for anyone with information to call Crime Stoppers on 1800 333 000 or submit a confidential report at www.crimestoppersvic.com.au.